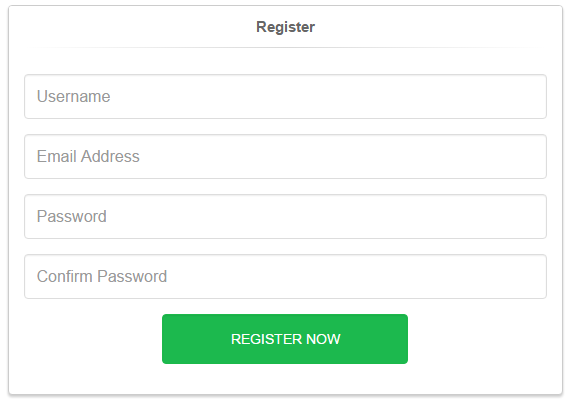 Share the post "Spring MVC Form Validation"
In this example, we will be creating a simple web project that will validate the registration form using JSR 303 or java validators with the use of hibernate and spring. Next we create the Registration Data Transfer Object that will be passed to our jsp. We have added @NotNull and @Size validators. Create the controller that will handle the spring mvc form validation. Take note that we uses the annotation @ModelAttribute and the @Valid and also add BindingResult in the parameter. The @ModelAttribute will map the reg_form to RegistrationDto object. The validation results will be saved in BindingResult object. Next we create registration.jsp that will contain the form. This also uses the form tag library. And create the form inside your html body. 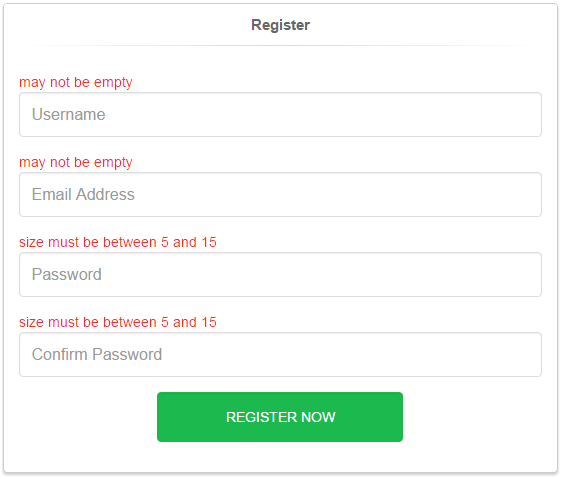 Adding valid data in registration form will display the success page.